West Side Kids Care would like to say thank you to everyone who donated to the Thanksgiving Food Drive. The children donated over $330 to buy turkeys and the Mission was able to feed over 474 families this year for Thanksgiving. That is amazing!! West Side Kids Care hopes you can keep our holiday toy drive in mind when you do your shopping this year! The annual drive will help our neighbors at Helping Hands Rescue Mission. We request donations be made by Tuesday, December 12th when wrapping will take place during recess. As always, all are welcome to come in and help the children wrap. This year, HHRM is seeking toys in the newborn to 2 year old category (for boys and girls) and 6-8 year old girls. You are not limited to these categories and any unwrapped toy would be appreciated! Toys will be collected in classrooms and in the lobby at West Side School. Please contact Lauren Jasinski (jasinski.lauren@gmail.com) or Jordan Smith (jordan_kenna@yahoo.com) with any questions. 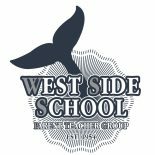 West Side Kids Care is a committee for everybody. We are parents and children working together to give back to our greater community in different ways throughout the year. While helping others in need, we want to instill in our children the true strength of giving, kindness and concern for those who are less fortunate. Organizations such as the Helping Hands Rescue Mission and the Tri Community Youth Association, both located in Huntington Station, have become dependent upon our help after 30 years of giving. Children have many opportunities to help both during recess and after school such as: creating posters for the school hallways for the many drives, bringing in donated items from home for the various drives, making sandwiches and putting together lunch bags for local homeless men, making cards, visiting a nursing home to spend time with seniors (making cards, handing out flowers), and visiting the Tri CYA to help other children with their homework. Parents support this committee by donating items, helping to organize events, making deliveries to the food pantry, and engaging your children in meaningful discussions about the need for community outreach. We are always looking for new ideas.